Three Youth Ambassadors from the US state of Arizona are settling into Ennis life as part of the Ennis Phoenix Youth Ambassador Exchange programme. 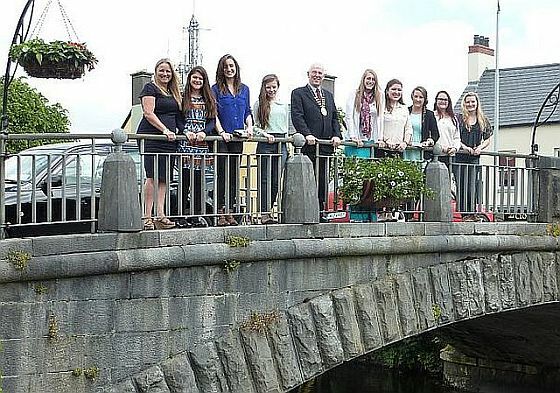 For three weeks they will live with their host families and experience the life of Irish teenagers in County Clare. Sixteen year old Kayla Casey, seventeen year old Jessica Meilech and sixteen year old Brianna Quintero were selected from hundreds of applicants to travel to Ireland as Youth Ambassadors from Phoenix. During their time here they will learn to surf in Lahinch and to kayak in Killaloe. 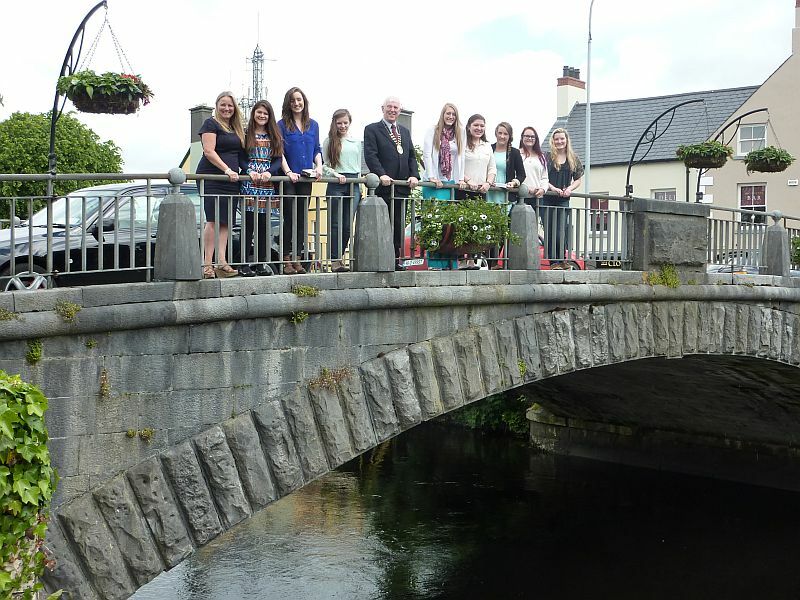 The girls will meet the Mayor of Ennis; they will help out in the Clarecastle Day Care Centre and indulge in afternoon tea in Dromoland Castle. They will also enjoy sporting and music activities and simply hanging out with their Irish peers and one of the girls will even celebrate her birthday in the Banner County. The Youth Ambassador programme has been a very popular initiative of the twinning relationship between Ennis and Phoenix. Since 1988 over one hundred second level students have participated in annual exchange programmes between Ennis and Phoenix. This year sees the twenty-fifth anniversary of the twinning relationship between Ennis and Phoenix. Since 1988, civic and community leaders from both sides of the Atlantic have visited each other and developed strong ties and personal friendships. Over the years political and business leaders, arts and cultural representatives, technical experts, teachers and students have participated in regular exchanges. Last March, as part of The Gathering Ireland 2013, Ennis celebrated Phoenix Week to mark the 25th anniversary. Over 100 visitors from Phoenix spent a memorable week in Ennis where they engaged with business, cultural, education and sporting groups. The group included an official delegation led by Phoenix City Councilman, Michael Johnson, elected representatives and executives, business leaders, Phoenix Sister City personnel and Saint Mary’s Catholic High School marching band, who played in the St Patrick’s Day parade. The visitors learned how to play tin whistles, had hurling lesson, participated in a five mile charity run and met Clare business and tourism interests for a breakfast briefing on the business opportunities that the region offers. The Phoenix group visited Bunratty Folk Park, had guided tours of Ennis town and were shown how to trace their Irish ancestry. They also attended an Irish traditional music session, participated in the St. Patrick’s Day Parade and enjoyed the unique landscape of the Burren. In July, the Ennis hosts, Darrelle Colleran, Shauna Lyons and Aoife Sheehan, all students at Colaiste Muire, will travel to Phoenix as Youth Ambassadors. While in Arizona, the Ennis Ambassadors will partake in a Grand Caynon Adventure, visit Disneyland, attend a Baseball game and an American Prom evening and do some community work. They will also get to meet up with Ambassadors from other Phoenix twinned cities in Canada, Italy, China, Israel, France, Mexico, Japan and Taiwan who will also be visiting Phoenix at that time.